There’s been a lot of confusion lately regarding the actions taken against Pokemon Go players involved in cheating activities, such as GPS spoofing, using bots and other 3rd party software, like snipers and such. These actions vary from regular soft bans to catch flee soft bans, and even IP blacklists and/or allegedly permanent bans, in the form of the “Failed to get game data from the server” error. There’s a lot of speculation around these actions, mostly in regards to the permanent bans, however, until we get an actual confirmation from Niantic, you can still assume that these accounts could only be experiencing some technical difficulties, or maybe even were automatically locked for further review regarding previous account flagging for cheating. While on this subject, a lot of popular bot developers who dodged the last week’s intial mails have now received cease and desist letters, thus shutting down their bots and removing the download sources, even though that has proven not be a big issue for the community, who quickly found workarounds to make them usable once more. Note: This article applies strictly to catch flee soft bans. If you have been permanently banned, check out our Pokemon Go unban appeal guide! A Pokemon Go Catch Flee soft ban is basically just another soft ban, but it acts a bit different from the regular one. 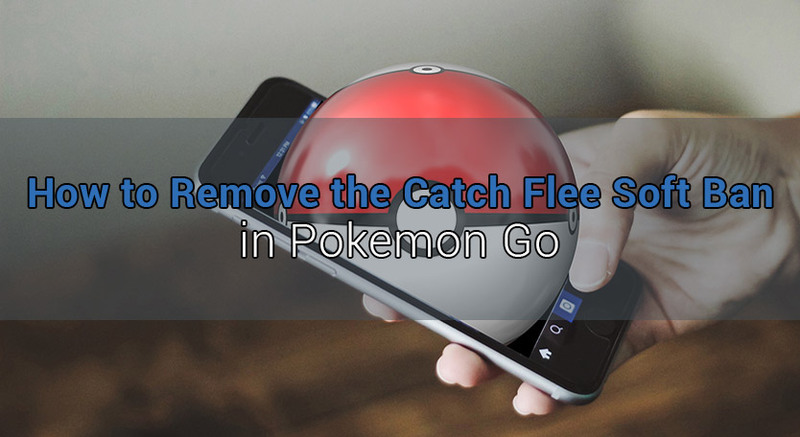 Players experiencing Catch Flee soft bans are able to properly spin PokeStops and receive the rewards, therefore the classic method to remove the soft ban doesn’t work, since it involves spinning a PokeStop for about 40 times without actually being able to get any rewards. The most important feature of the Catch Flee soft ban is the fact that you can’t catch any Pokemons, despite being able to spin PokeStops and even participate in Gym fights. 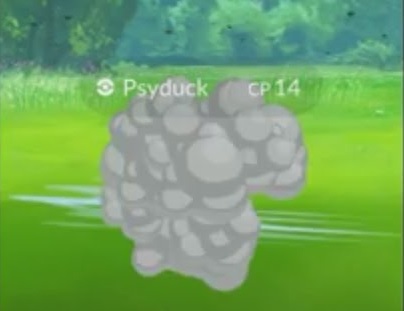 Any Pokemon you attempt to catch will instantly break the ball and flee, just like in the initial soft ban, so if you’ve experienced this more than a few times in a row, then you’ve probably been soft banned. Even though the Catch Flee penalty is just another form of the initial soft ban, it seems to last a lot more than the latter, and sometimes even as much as 24 hours. Automatically or manually sniping Pokemons. When it comes to using bots, many of its features can get you temporarily suspended, such as the delay between actions (throwing PokeBalls, catching Pokemons, sniping, etc. ), its walking speed, the time spent in-game, the location traveled and, of course, the accuracy with which it throws the balls, which leads us to the next part. The more Niantic increases its defense mechanisms, the more players exceed the boundaries of creativity. Although this hasn’t been confirmed by many players yet, Nine1Sickness from OwnedCore has found quite an amazing workaround to remove the Catch Flee soft ban, tying it to the accuracy of which bots throw Pokeballs. In a nutshell, what you want to do in order to try and get the new soft ban removed is to throw as many Pokeballs as possible (even up to 100 or beyond), without hitting or attempting to catch the Pokemon whatsoever. The idea is to decrease your accuracy (has no other impact on your game experience, other than losing the actual Pokeballs) by throwing the balls beyond the Pokemon, aiming for the forest behind them, thus registering your actions as more human-like as opposed to constant perfect throws achieved by third party software. While for some players only a handful of Pokeballs were required to get their Catch Flee soft ban removed, for others it took about 100-120, and of course, some less lucky players didn’t get it to work at all, so it’s not a sure thing, but it’s definitely worth trying if you’re experiencing this timeout, since sometimes it can last for 24 hours. Hope you guys found this post helpful and are able to enjoy Pokemon Go again, however, if luck wasn’t on your side, we are! If you got permanently banned, don’t hesitate to contact us to get you back in-game to catch ’em all! got my account perm banned (failed to get data from server) and was wondering if you guys can get it back. It took me 2-4 poke balls on a small bug type to get my SoftBank removed. It seems like if you miss a few times on a small one like wheedle, it then makes you catch it by redirecting your pokeball when you try to throw it over the Pokémon this then removes the ban! Hope this helped! Feel free to add this to your article as it worked 3 times for me now. i have experienced the same thing, i got the soft ban intentionally for research purposes, hallmarked by missing 7 random commons. i waited an hour to see if it would pass first, no luck. on a random wooper spawn, i began throwing pokeballs into the void. on a random throw it put a spin on the ball that i sure as heck didnt put on it and it caught the wooper. No emails or notification that im banned yet . Ive got the same screen pop up too. Is there anything I can do? Nope, not really, other than waiting it out some more, but it’s most likely a permanent ban. I think I got a permanent ban on my account. It says faile to get data from server. How can you help to lift this ban as I have also spend on poke golds. Thanks. “failed to get data from the server” is it perm ban? Unfortunately, yes. 🙁 Contact us if you’d like to discuss a possible unban. Think I’m just soft banned… Can’t catch any Pokemon but can walk around… That mean I only got to way a day or so? Can you get rewards from PokeStops? If yes, then you’re catch flee soft banned. If not, you’re just soft banned. If you don’t wish to attempt the removal trick, then yeah, waiting about a day should be fine. There’s nothing really to do, other than appealing your ban. I get the “failed to get game data from server” msg as well, is there any you guys can do? We might, contact us through our contact form to discuss it, or add us on Skype at ID – Unbanster. If it’s the “Failed to get game data from the server”, contact us and we’ll see what we can do. Hello , on my phone is Sampling this message when I try to enter the game , it is a permanent ban ? If it’s “Failed to get game data from the server” then yes, it’s a permanent ban. We don’t provide third party software (bots) support. Please contact the software’s developer. i need your help and maybe you can give me some advise. i levelt my pokemon account till level 18. then i had an accident and i cant walk at the moment. my husband told me that he will help and he would take my account on tablet with him because he had to go to a business travel to new york. i agreed and when he came back i could not manage to login my account. the ” no data from the server” massage appears. i googelt a lot and read about the bans and i asked my husband if he did something unfair or wrong. but he will not tell me. im angry at him and im very sad because i used many many hours to get what i had. my husband says that he did not do anything wrong but i think he did. although he refuses to tell me the truth. please maybe you can help me to get back my account . Sorry to hear about that, it’s very unfortunate indeed. Your best bet would be to appeal the ban using Niantic’s form and hope for the best. You can also contact us via our Contact Form to discuss your case privately. Good luck! Any confirmation that this works? Well, after you spend as many Pokeballs as you can spare, throw one and try to actually catch the Pokemon to see if the catch flee is gone. Is the support even reading the appeals since I dont feel like they do. They do, yes, however it might take them quite a while to get back to everyone. So what I really would like to know now is how long can one bot in one session? What is the maximum amount of hours one can play before a soft-ban occurs. Does anyone know that? I use a bot to go around my own town to hatch eggs and catch pokemons. I dont teleport to any location except for my own town. anyone has any experience or any indication on the max. Amount of hours to play? You can’t bypass it and you can’t play the game without agreeing. Since the new update I’m having trouble catching pokemon. Like CP100-200 pidgey’s escape after trowing 5-10 balls at it … Also a CP 250 Haunter escapes after 5-6 balls. Hower from time to time I can catch pokemon like a CP599 oddish, or pidgeys, weedles with CP 200-300. But like 50% escapes. You think I’m just having bad luck, or is it a catch-flee soft ban? Ahh. If i cannot fix the catch annd flee soft banned? It will fix for 24 hrs or it will last forever?? Plzz reply. 24h or less. It’s not a perma ban. Looks like I\’ve got this type of soft ban. Lost count of the number of balls I\’ve thrown away! (Over 100 easy). I can´t catch pokemons and don´t get rewards from pokestops. My account “cant connect to server”, i never snipe. Is it possible for me to retrieve that account bro? Hello! Yes, there’s always a chance. I seems to not able to catch only high cp Pokemon but little ones are easily caught . Is that also a flee ban ? How to avoid these softbans in the future? By not breaking the rules, pretty much. Wow… What made you think we work for Niantic? The fact that we try to get their players unbanned? We merely said don’t spoof if you want to make sure you won’t get banned. That’s nothing more than a helpful tip. I can totally understand spoofing, it’s fun and it’s somewhat required, especially from rural places, however, if it isn’t done properly, you’ll end up losing your account, and that’s all there is to it. P.S. : We don’t work for Niantic nor any other gaming company out there, since we don’t just handle Pokemon Go cases, as you can very well see. Eric, not only is this ungrateful to Unbanster, I cannot begin to tell you how dumb your statement is. Why would a Niantic dev help with unbanning? If anything, Niantic would love to get at Unbanster. Also, don’t be a tart Trigglypuff. I had a soft ban on my account today, and I was scared. I tried this trick with about 20-30 pokeballs, and it worked great. Thank you! I will be more cautious next time. What I’m wondering is this – Am I leveling the account too quickly? Will these soft bans eventually turn into a perma ban if I keep clearing the soft bans and playing? Or is this just a shoddy algorithm at work that penalizes people for getting too many 1st-throw “excellent” hits? No spoofing or botting is being done. I think i also got soft banned i hardly catch a pokemon a day.most of them are run away.so i read your suggestion and throw my balls in void and then i tried to. Catch a pokemon n i caught it.but now it starts again any permenant solution for this please help……. how to know catch flee soft unbanned? 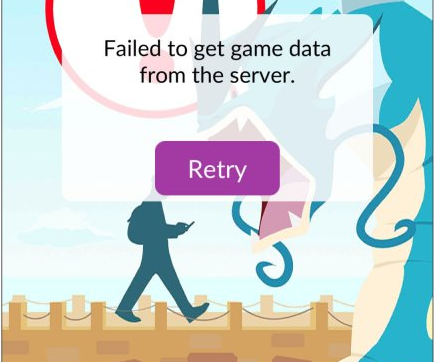 My Pokemon account got “Failed to get game data from the server”, contact to Niantic and the answer it’s a permanent ban. Can you help me for unban? I teleported in just a minute to New York from San Francisco and I didn’t put a timer down so how long does this soft ban last ? Dear Unbanster, can a soft ban lead to a permanent ban? If yes, can you please help me out? A friend of mine has his account softbanned because his account was used without his permission while he wasn’t around. Is there anything that can be done about it? This is urgent, please help… Thank you!